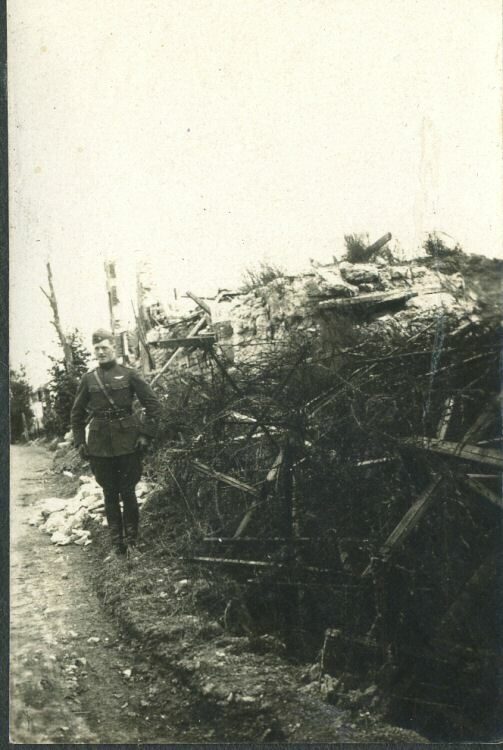 I recently acquired a scrapbook with about 50 snapshots from World War One. 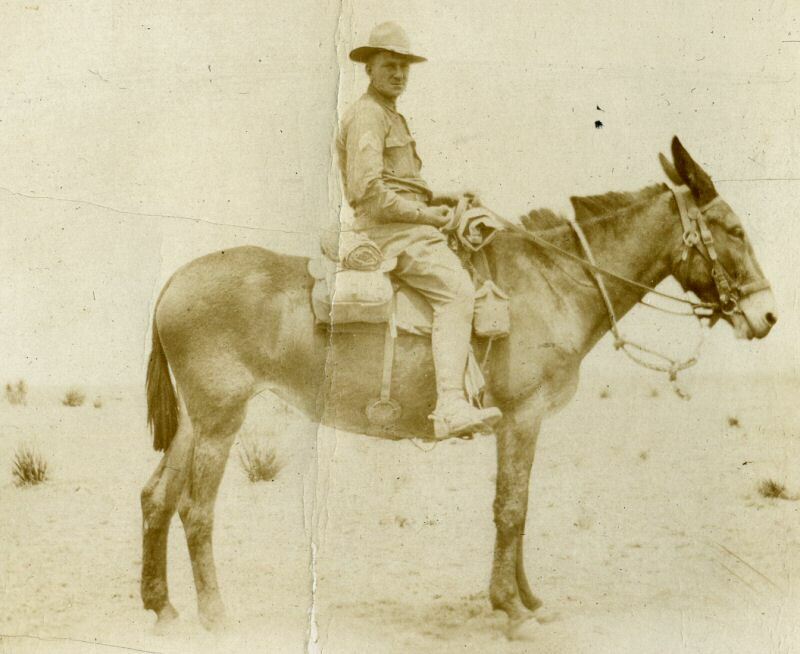 They are from the 1st Pursuit Group which is comprised at that time of the 27th "Eagle Squadron", 94th "Hat In The Ring", and the 95th "Kicking Mule". There were later squadrons, but I believe that these were the first. The 1st Operations Group is the oldest air combat group in the US service. 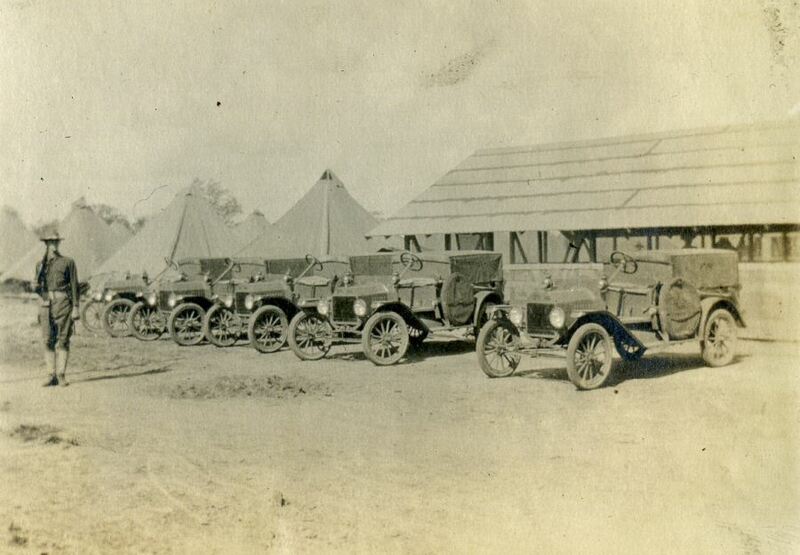 The First Pursuit Group which we have here was operational is France about May, 1918. 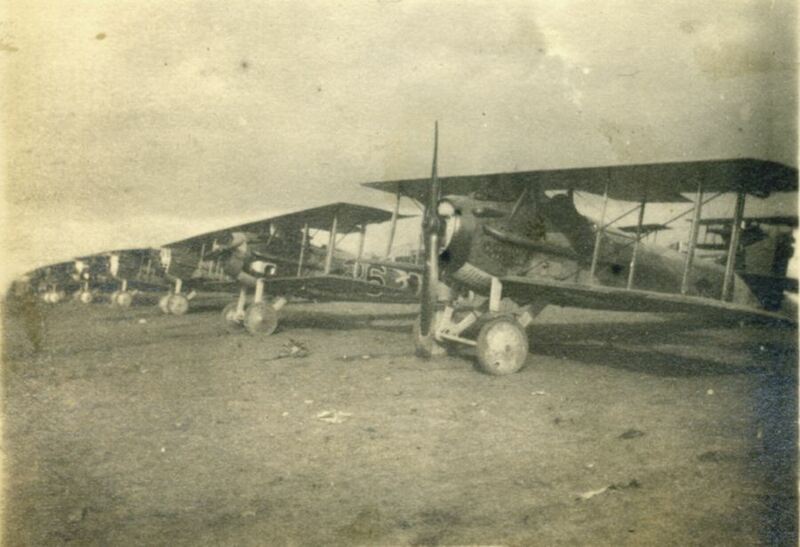 The 94th and 95th Aero Squadrons were the first assigned to the Group. I am receiving expert, outside help on this project. Everything in Italics is from this man. Looking back through the past issues of the Over the Front Journal and discovered an article titled "The Legacy of a Screaming Eagle" by John G. Joern, Lt. Col., USAF (Ret). This appeared in Vol. 16, No. 3; Fall 2001. This was a summary of the career of 1/Lt. 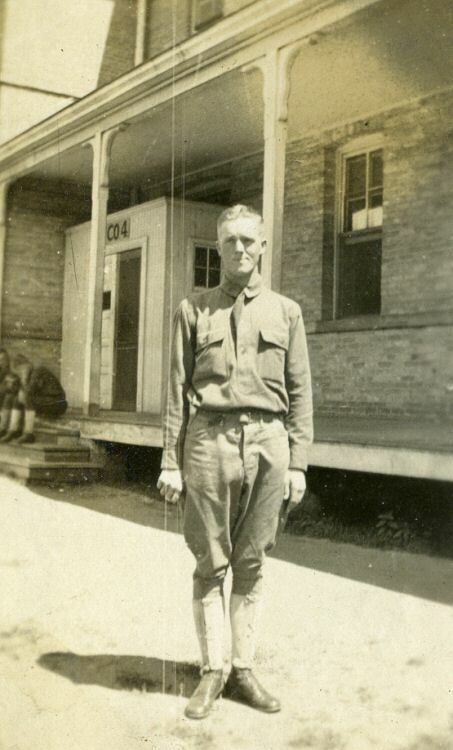 Harry W. Joern, who was assigned to the 27th AS around the end of August 1918. 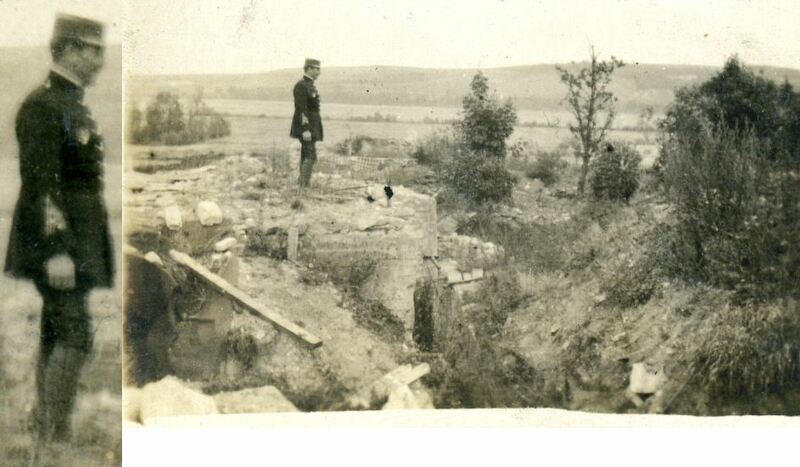 He was soon farmed out to the French 2nd Army as a liaison officer. 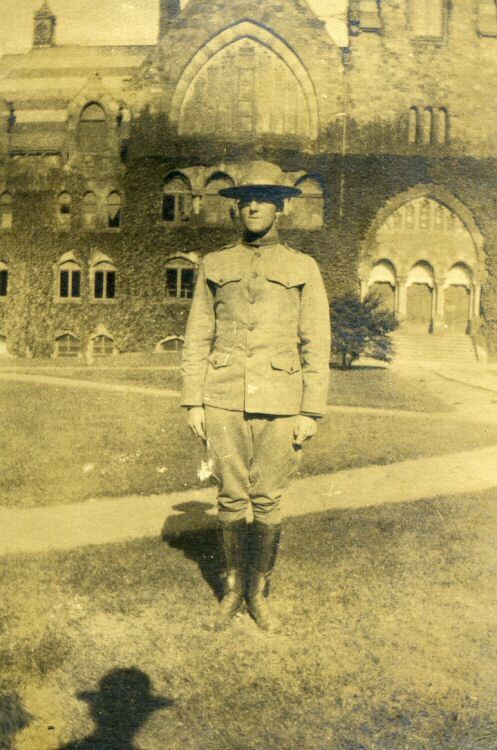 He didn't rejoin the 27th until November 1918. The photos that were published with the article almost all are represented in the collection that you have. Thus, I would be tempted to conclude that you have the album of Harry W. Joern. 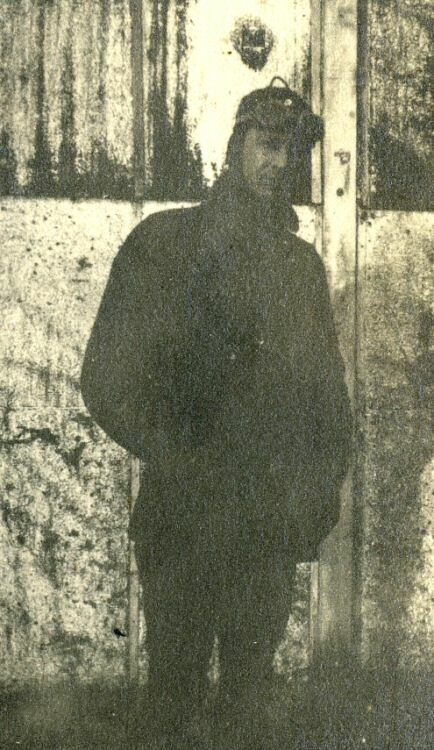 In the article is a photo of Joern standing by the wooden building and bicycle. 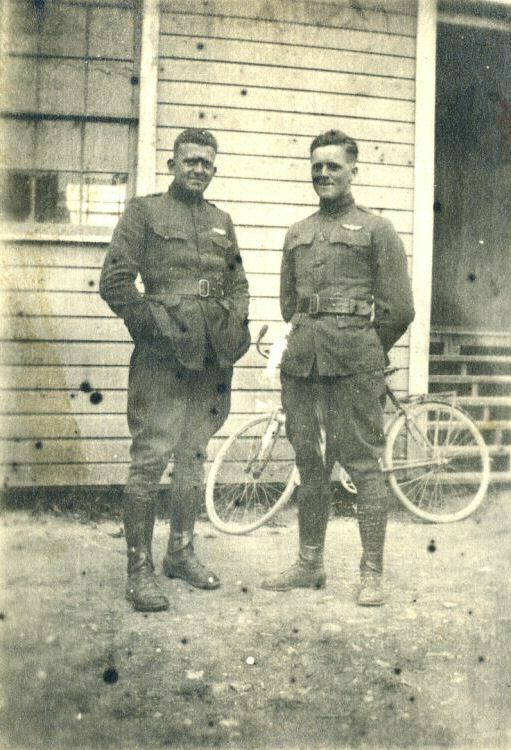 WWI-46 - Two Guys. 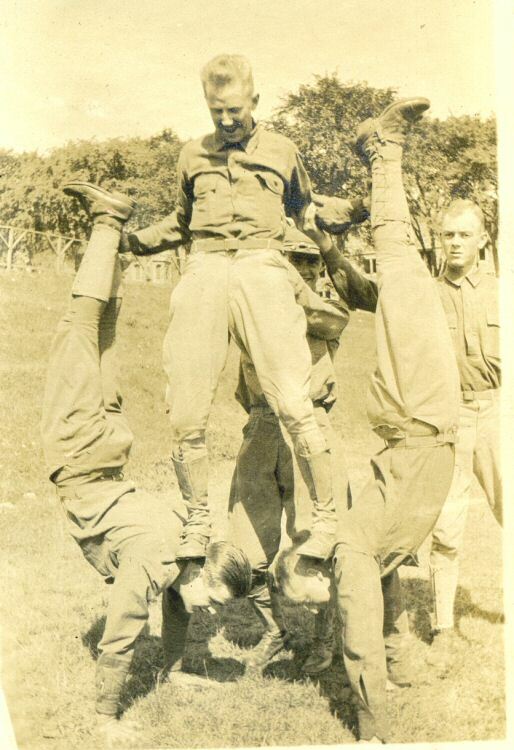 The man on the right is 1/Lt. 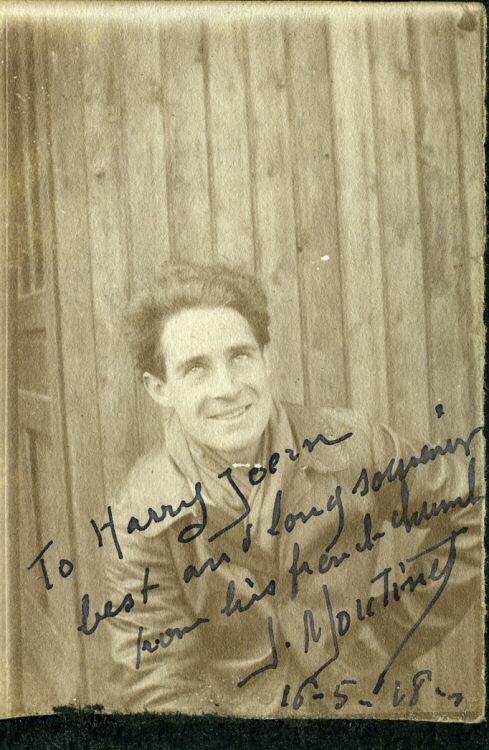 Harry W. Joern, the airman who put together this album. Although that image is not included in your set, it may have been at the time the article was written. In any case, I think he is the person on the right in your image #46. 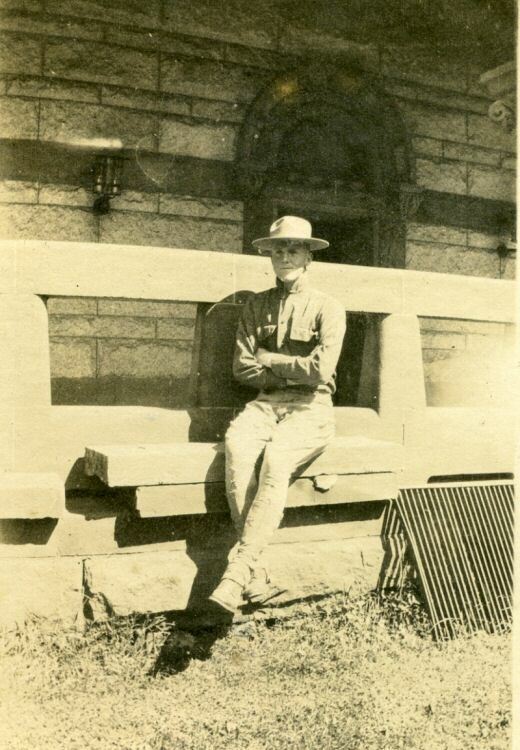 These photos with the bicycle were certainly taken in the USA before he went to France. 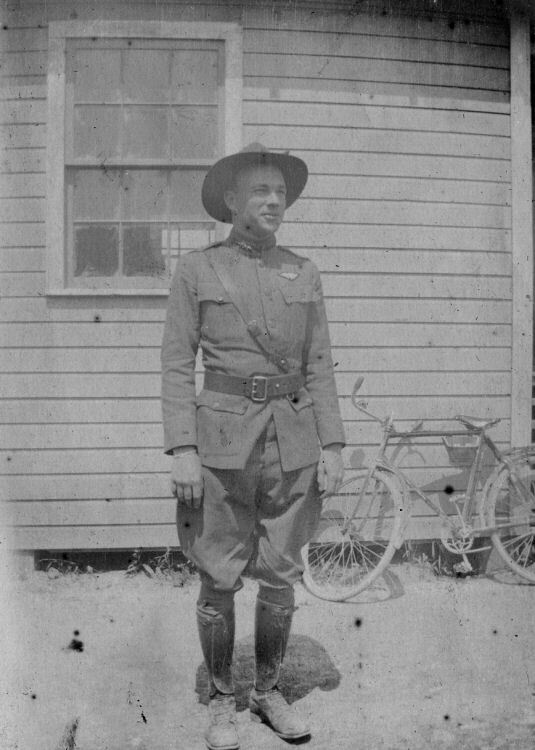 One of the officers was so bold as to put on a Sam Browne (shoulder) belt for the photo, although this was not part of the uniform in the USA. He certainly wouldn't be allowed to walk around with that. 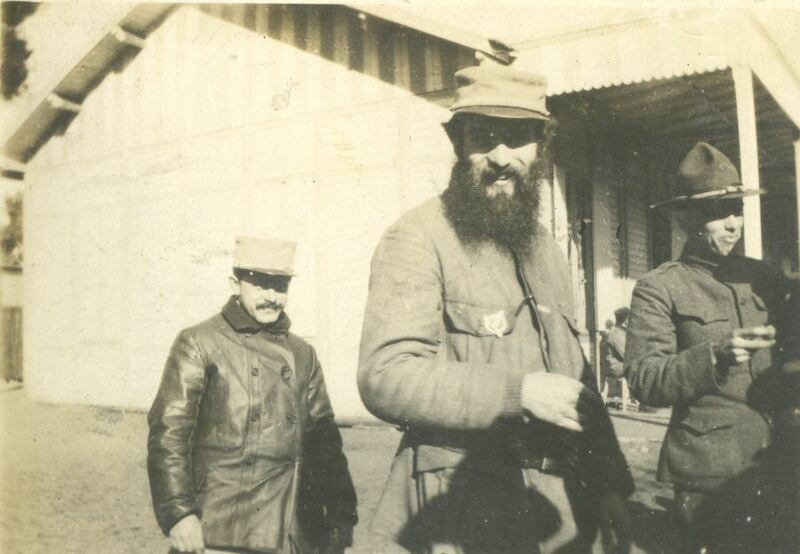 As Joern has no service stripes, the photo was not taken after he returned from overseas. After the article was published, I made some attempt to contact Col. Joern, without success. I understood that he had more photos that were not published. But at the time I was too busy to pursue that. If this album is not Joern's, then it is the album of someone who was at all the same places in the USA and in France at the same time, and who collected the same set of photos. The Pictures are mostly 2 1/4 x 3 inches. A few are larger. I have cropped and enhanced many of the views. The album is loose, with no covers. Finding a WW1 album with this many views of airplanes, and knowing the author is pretty much museum stuff. 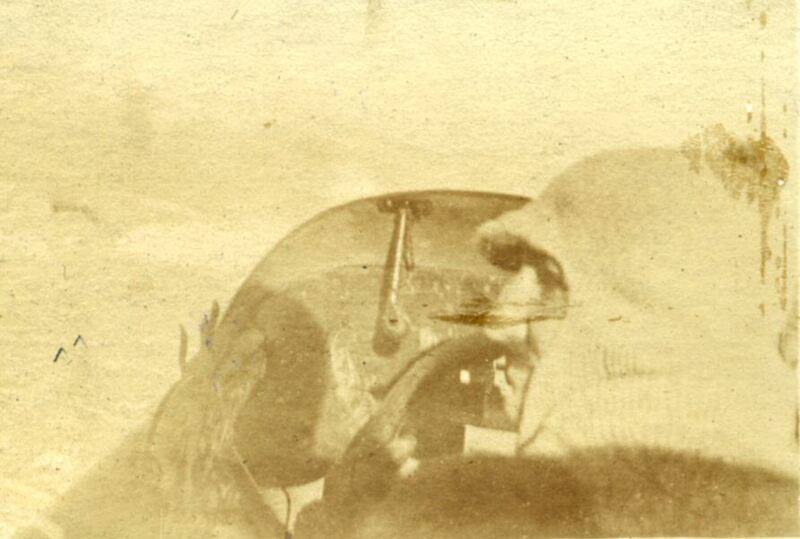 WWI-37 - IDd pilot, same plane as next image. 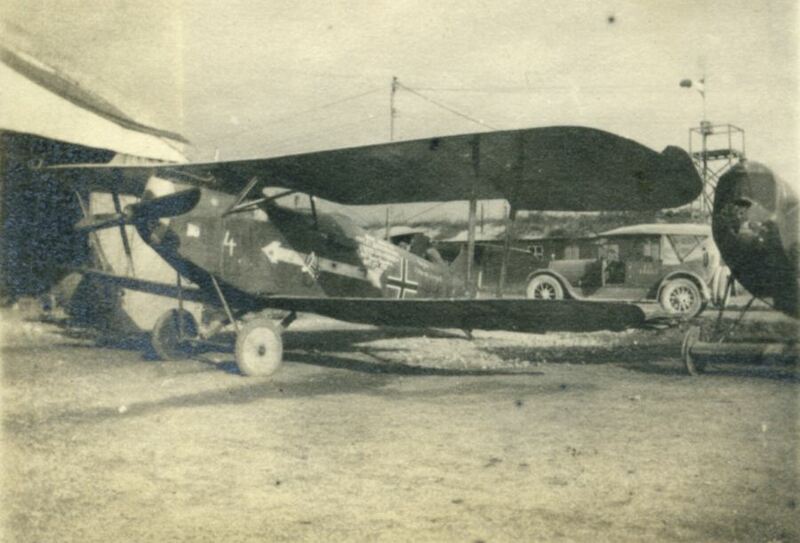 Spad XIII S.79xx #19 of the 27th Aero Squadron. 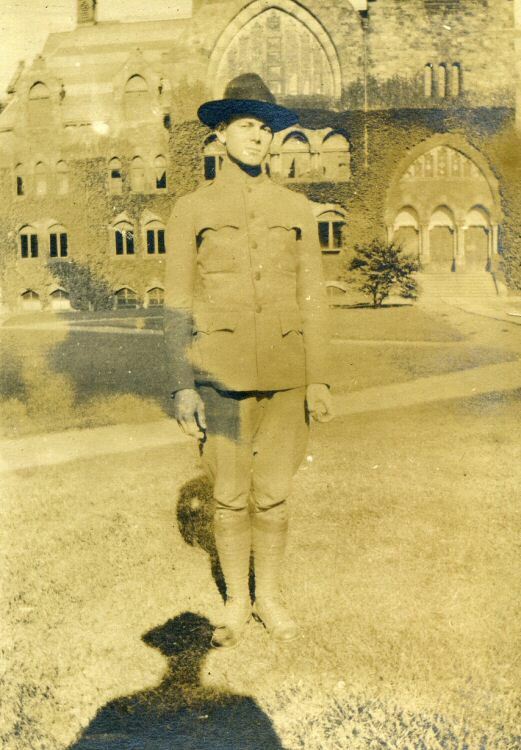 This is one of four Bernard-built Spads assigned to the 27th AS that were still on hand beyond the Armistice (7979 returned 12/14/18, 7980 returned 12/14/18, 7983 returned 12/24/18, and 7990 returned 12/8/18). 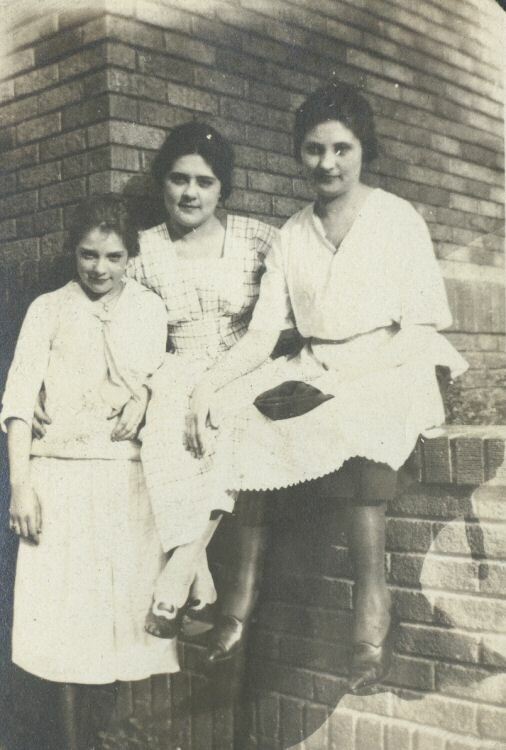 The name Bilderback is inscribed on a note above the photo. 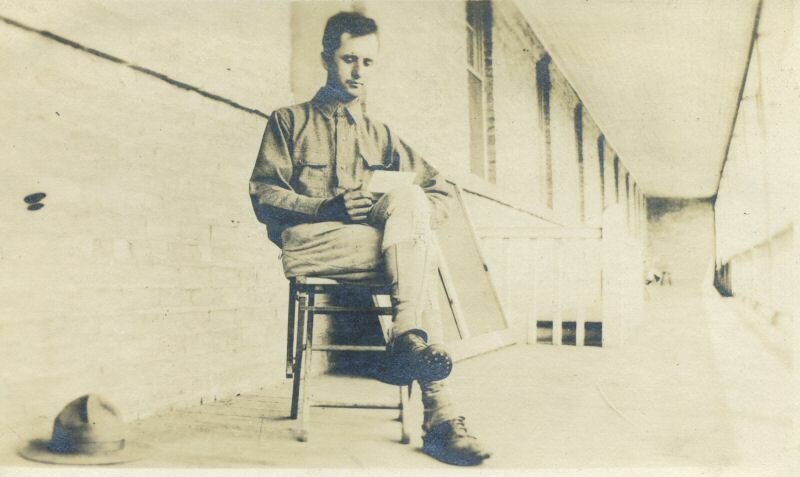 This would be Lt. Byron Bilderback who was transferred from the 141st AS to the 27th AS on 28 November 1918. 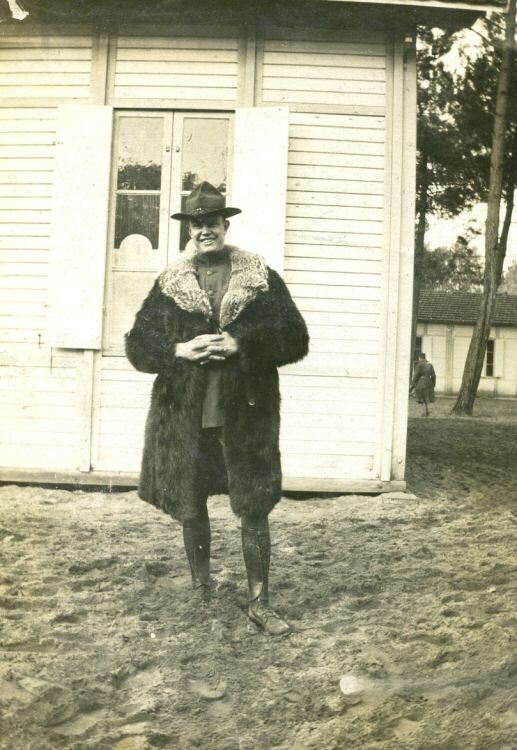 Assuming he is the person in the photo, that would suggest this, together with the associated set of postwar photos, were taken at Rembercourt in the first half of December 1918. ADT 10/12/07. 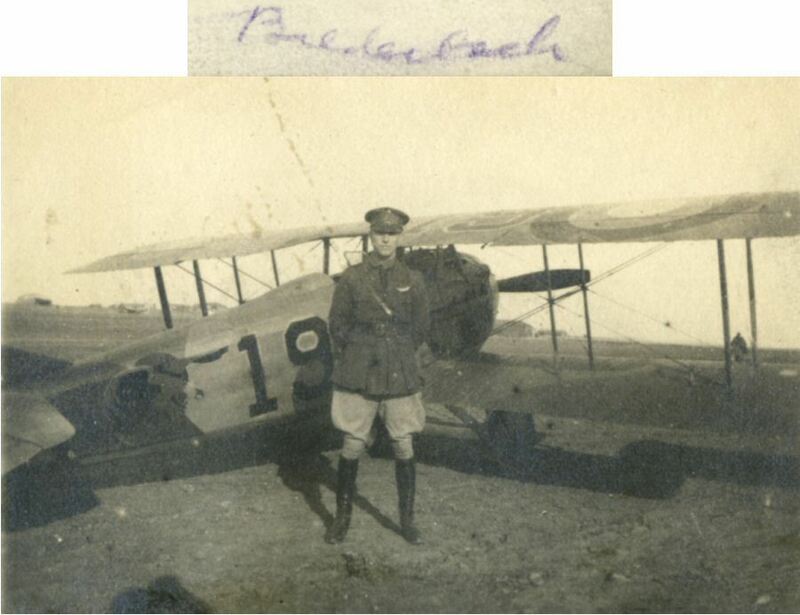 An additional note: This is for sure Lt. Bilderback, and a great photo of him appears in Terry Morris's US Wings Book. Info from Michael in New Jersey, and Thanks Much. 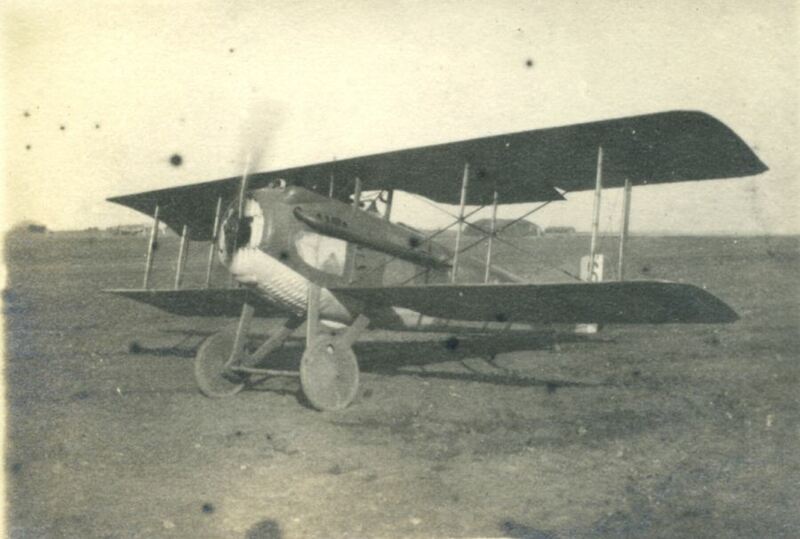 WWI-16 - "Eagle Squadron" This is #19, one of the Bernard-built Spad XIIIs suppled to the 27th in late September - early October 1918. I think that I came up with a hypothesis for the serial number. There were only a small number in this class. 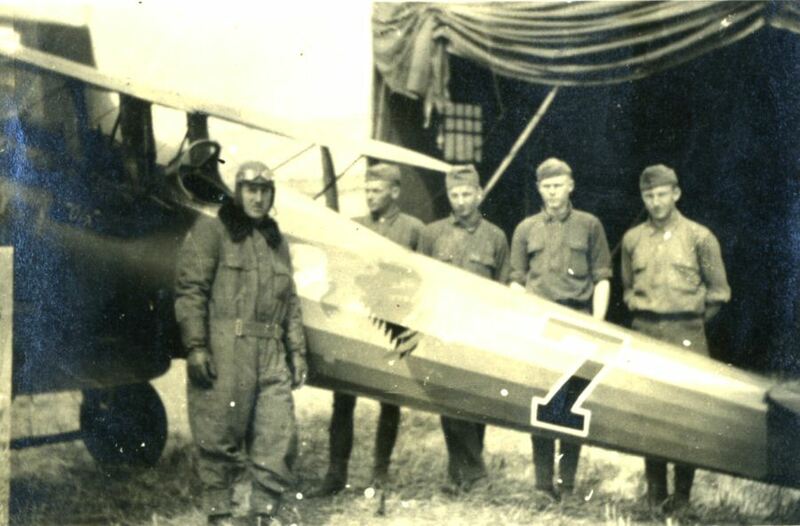 WWI-26 - Eagle Squadron, Plane, Pilot and Ground crew. 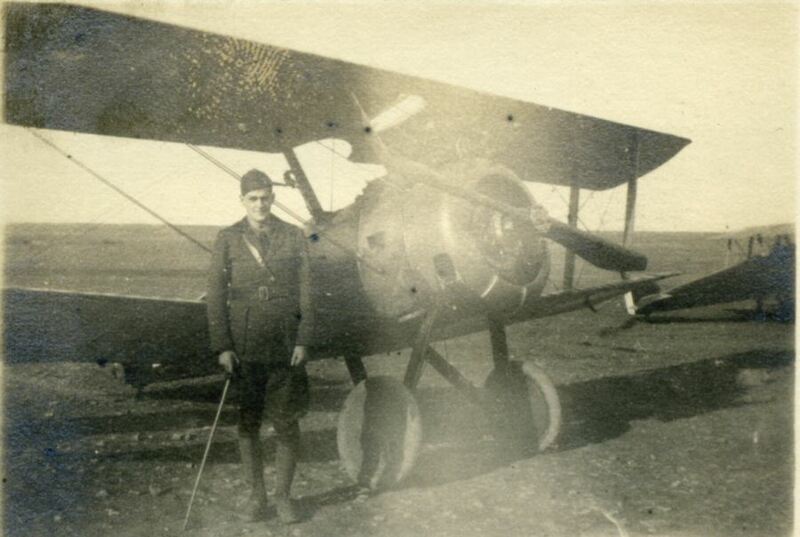 Lt. Fred W. Norton poses with crew next to his Nieuport 28 #7. 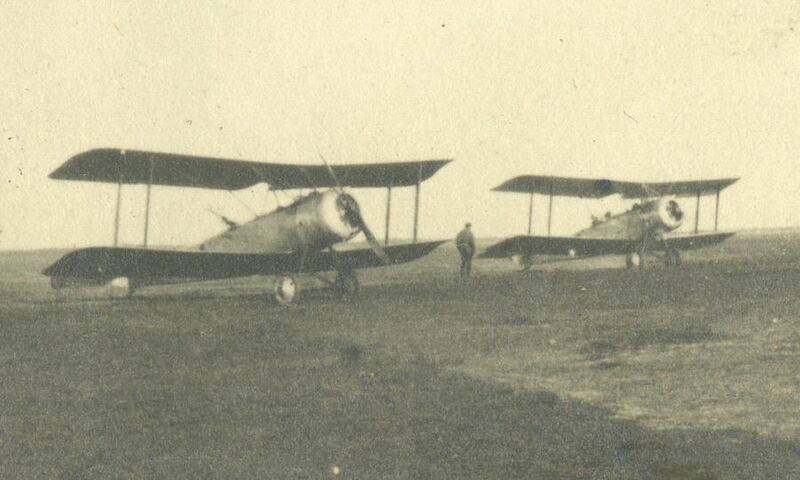 Norton was noted as having flown N.6259 twice on 21 May 1918. However, that may not have been his assigned plane. 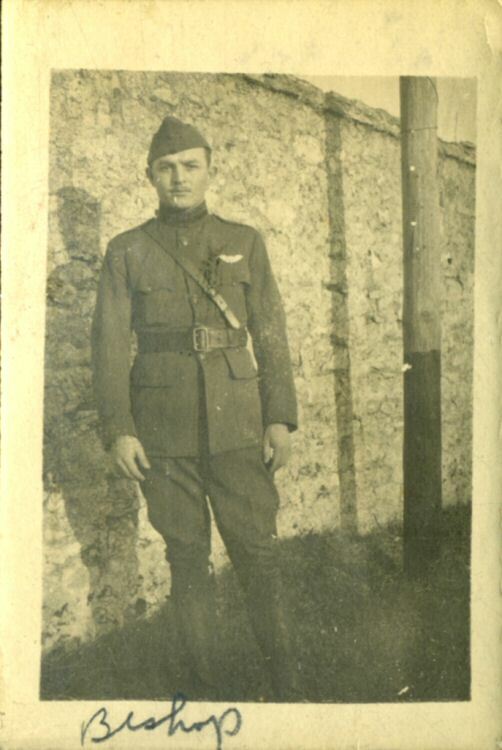 A note dated 2 June 1918 indicates that he was assigned to plane #7. 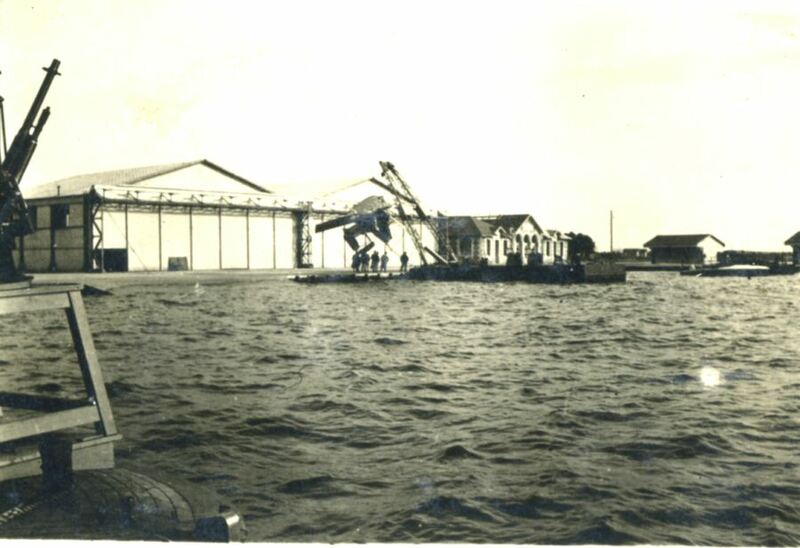 The hangar in the background is unique to the field at Touquin. 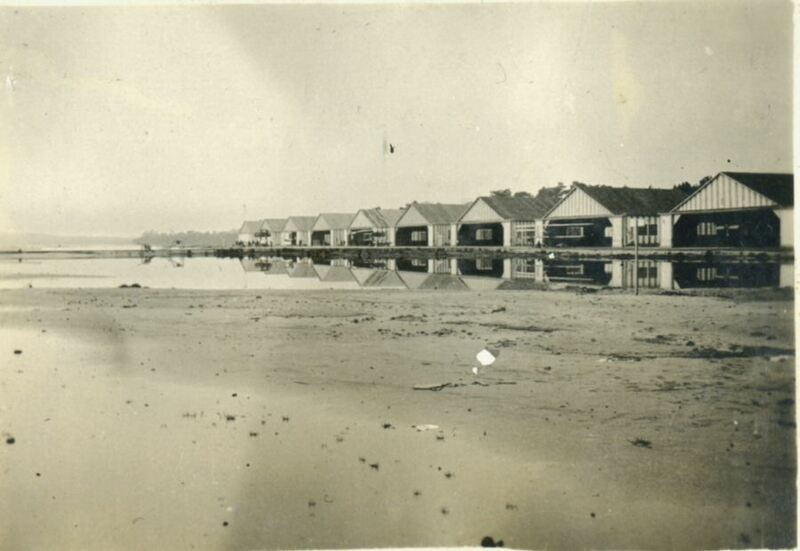 The photo was therefore taken during the period 28 June 1918 – 8 July 1918. 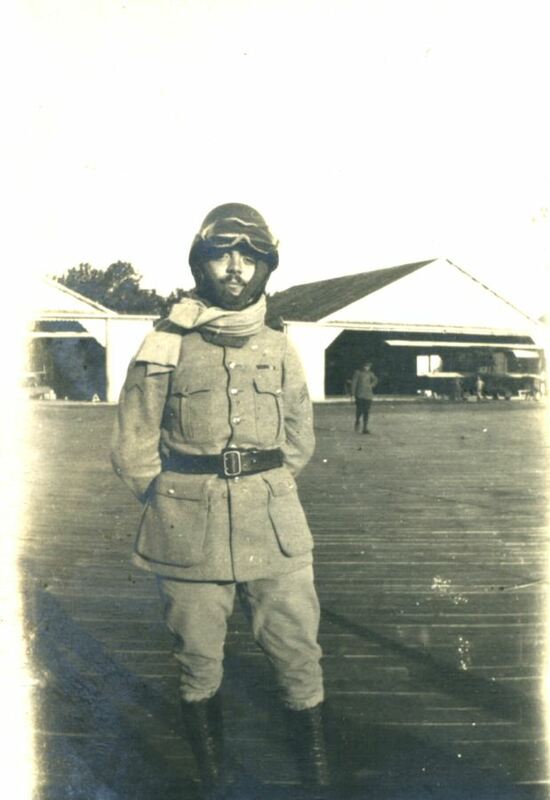 Norton was shot down on 20 July 1918 and died of wounds on 23 July 1918 (one source says 22 July). 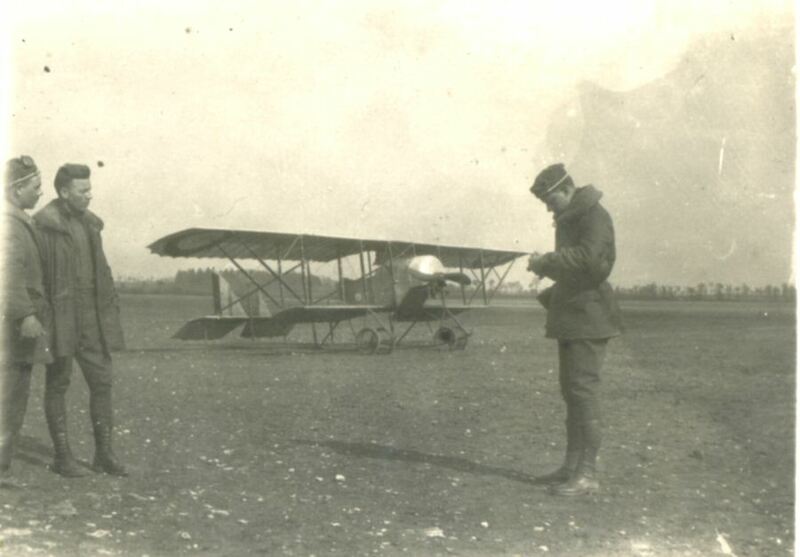 At the time he was flying Nieuport 28 N.6296 that was assigned during the third week of July, hence not the plane in the photo. 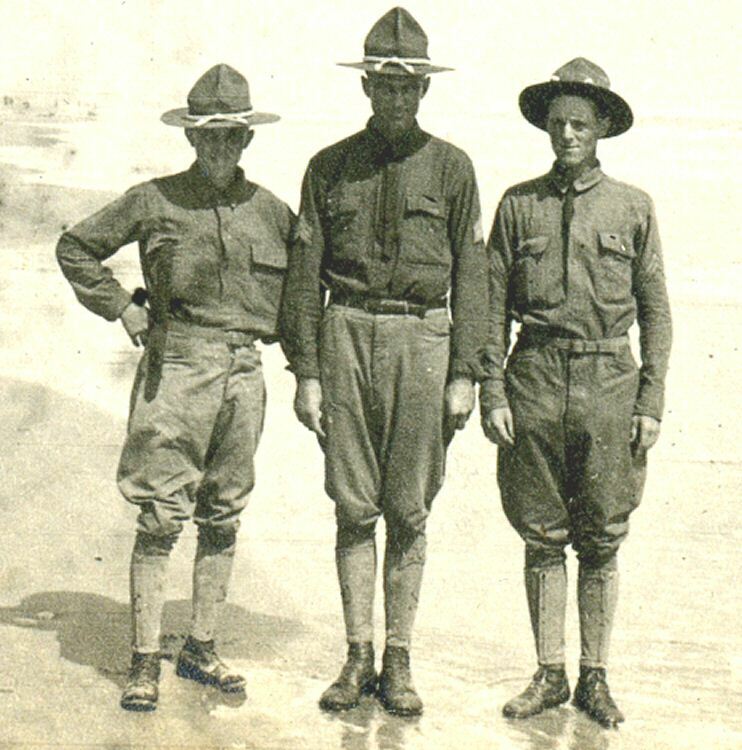 Two other undated photos show him posing with the same crew at different times. ADT 10/11/07. 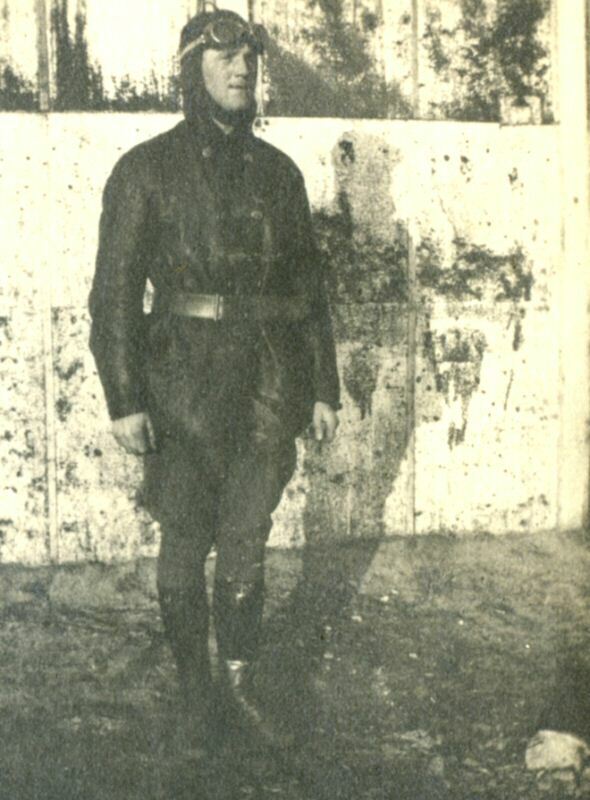 An additional note: Norton was shot down on 20 July in a big dogfight which also saw the loss of Lt. Zenos R. Miller. 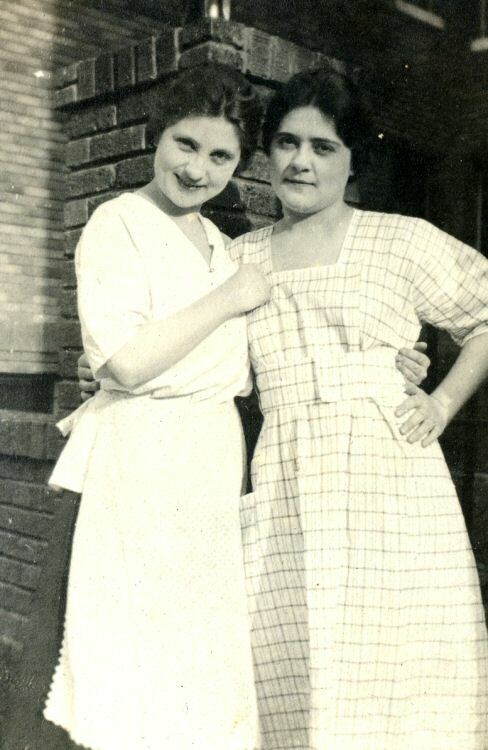 Miller was a resident of New Jersey. Info from Michael in New Jersey, and Thanks Much. 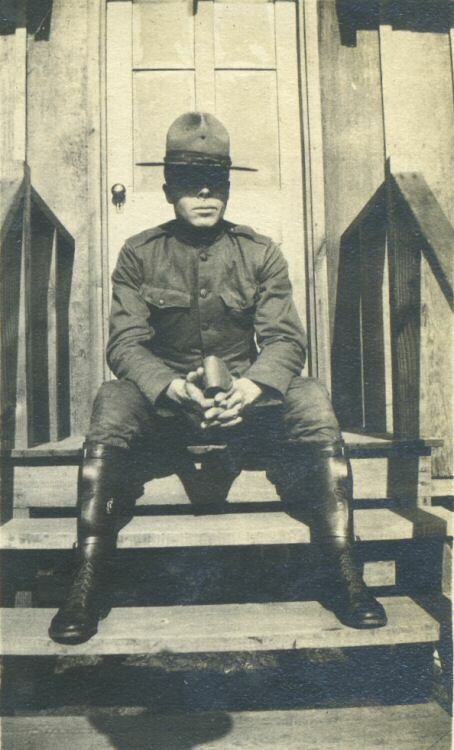 WWI-31 - Pilot, Plane, Cane, Eagle Squadron. 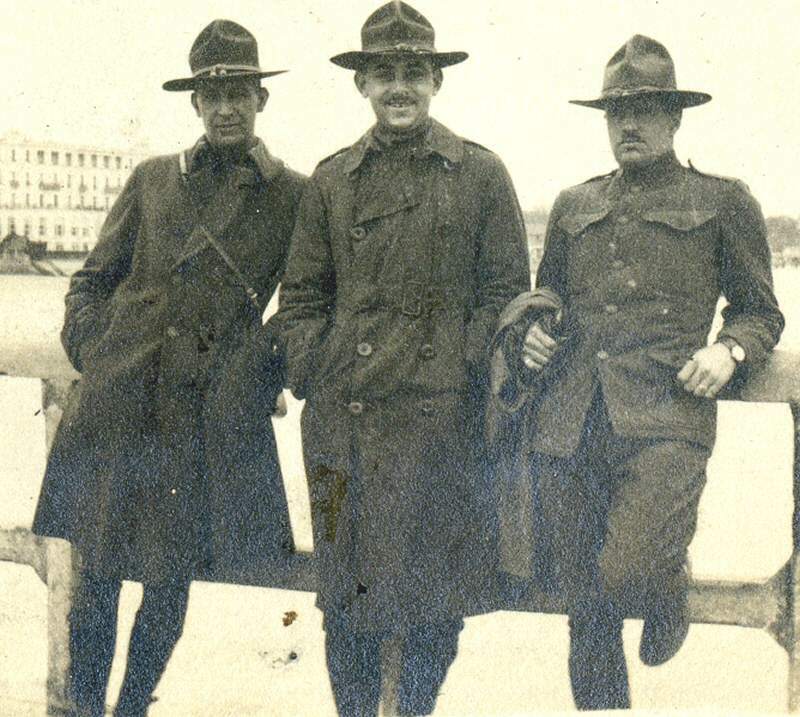 94th "Hat In The Ring"
WWI-4 - In October of Capt. 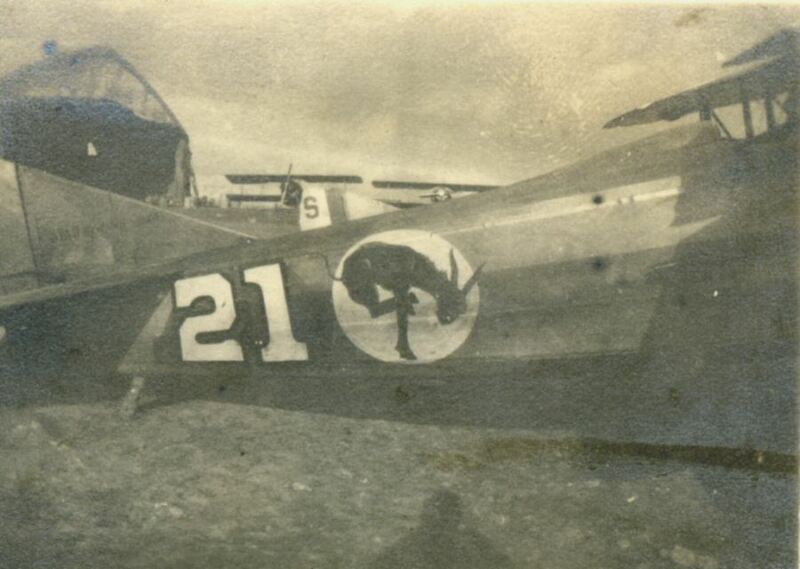 Eddie Rickenbacker teamed with Lt. Reed Chambers and shot down a Hannover CL II which landed inside our lines. 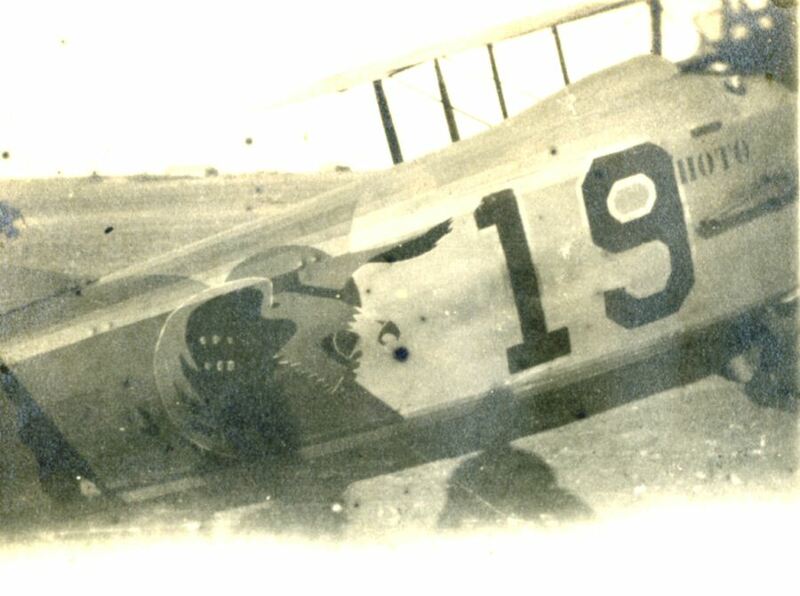 The American team quickly claimed the prize, and painted their names and the date, Oct. 2nd 1918 on the side of the plane. 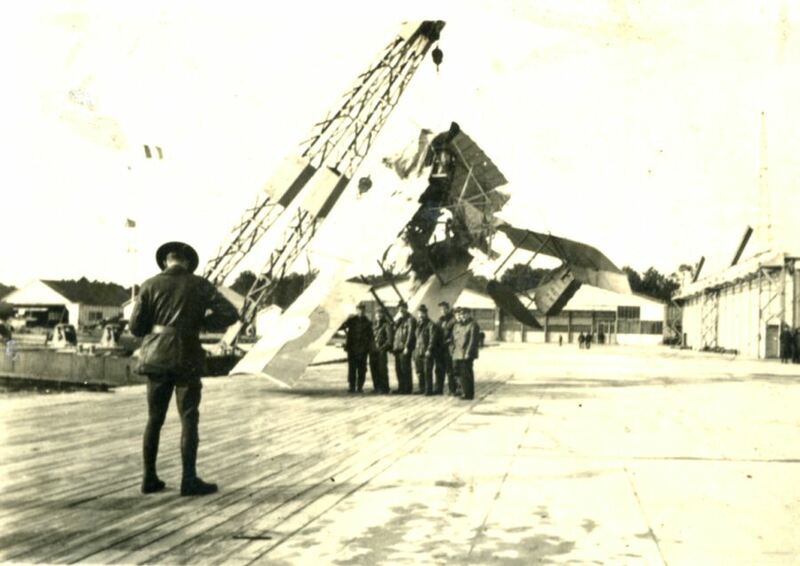 WWI-1 - This is a german Foker D VII, the one, in fact, that is on display at the National Air and Space Museum in Washington, D. C. It was landed at an American airield intact on November 9, 1918 (2 days before the Armistice went into effect) by Leutnant von Heinz Beaulieu-Marconnay. 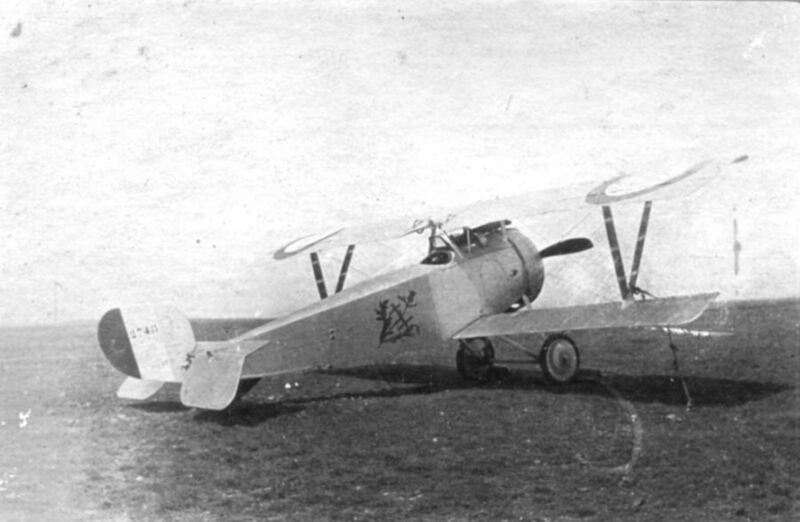 WWI-5 - This is a Nieuport two-seater with a Caudron G-3 in the background. 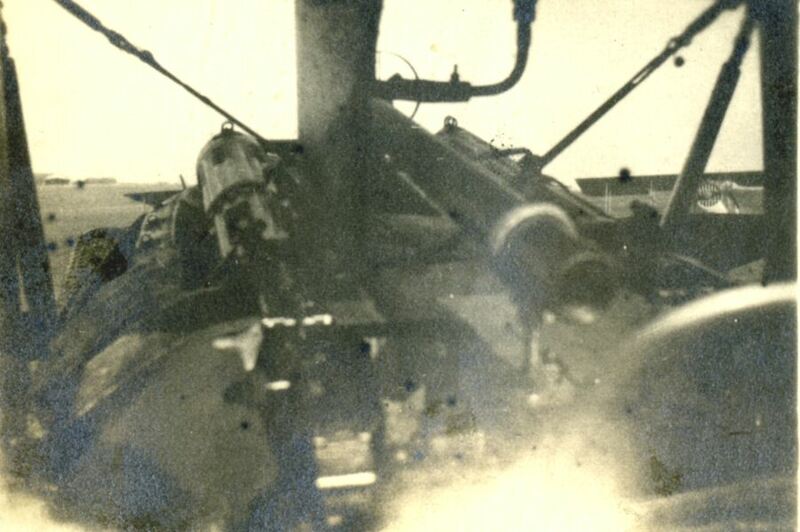 WWI-6 - Cockpit Interior. 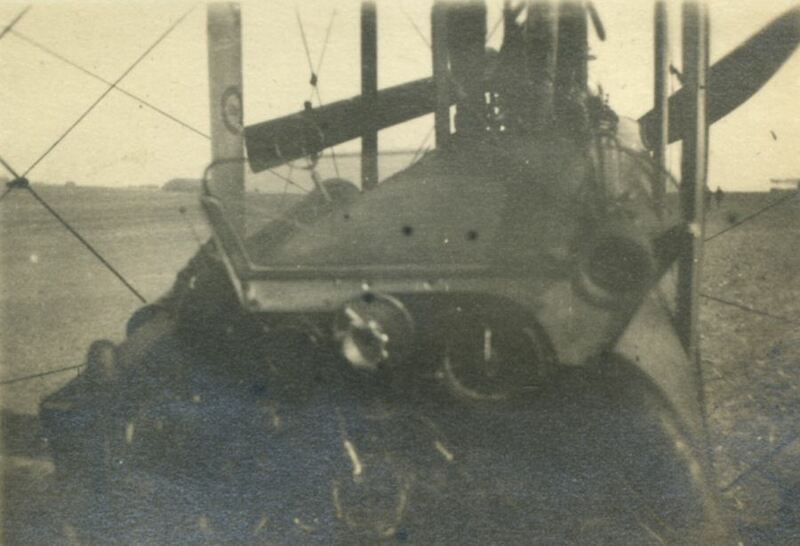 This is a cockpit view of a De Havilland DH9, possibly the one shown in WWI-21. Information from Alan Eyre, UK. 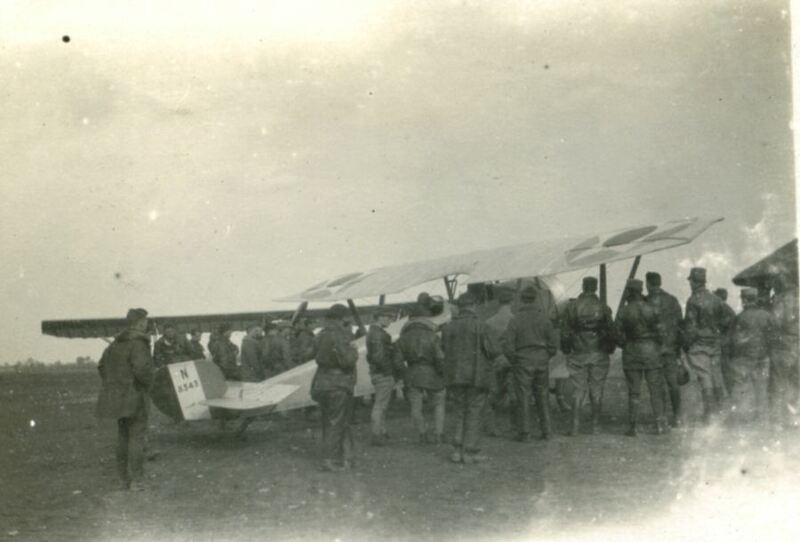 WWI-9 - Caudron G III. 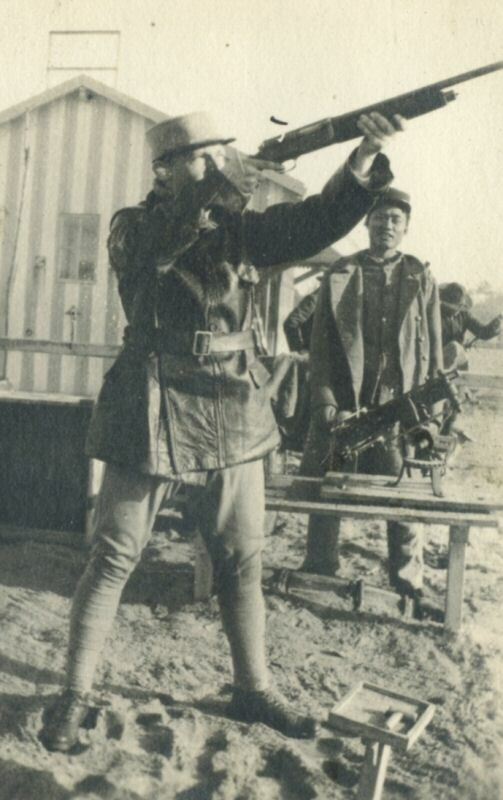 WWI-12 - Picture taking. Great plane in the background. 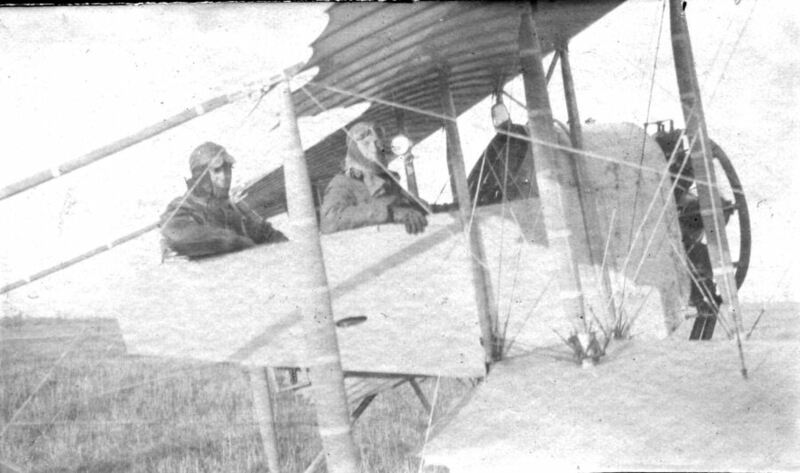 French Caudron G.III, two seater, single engine. This plane used wing warping rather than ailerons. 90 hp engine, Speed 112 mph, and could stay up for 4 hours. 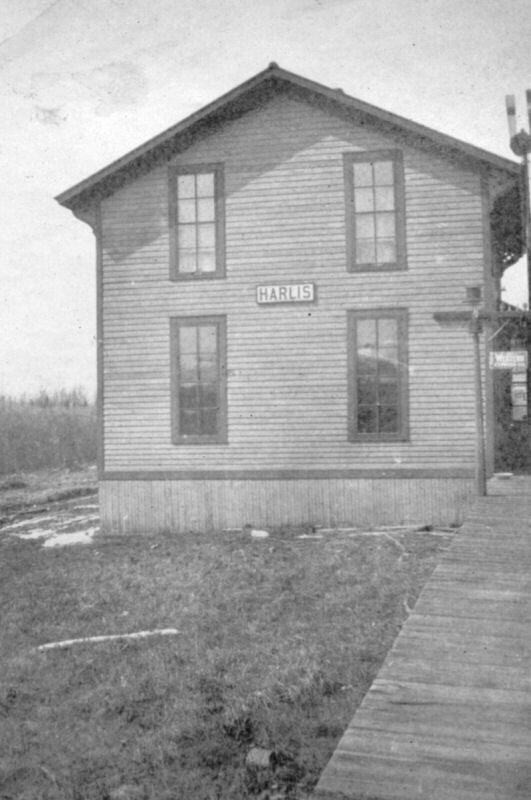 Built in 1914. 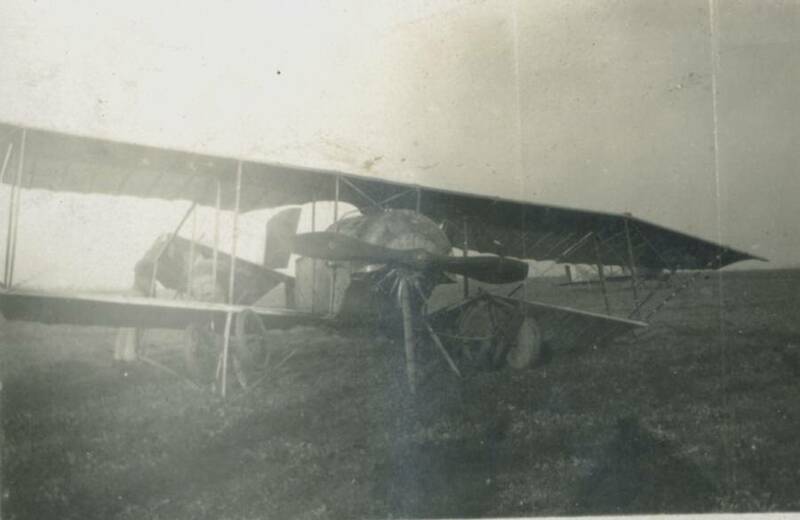 Used as a reconnaissance plane. 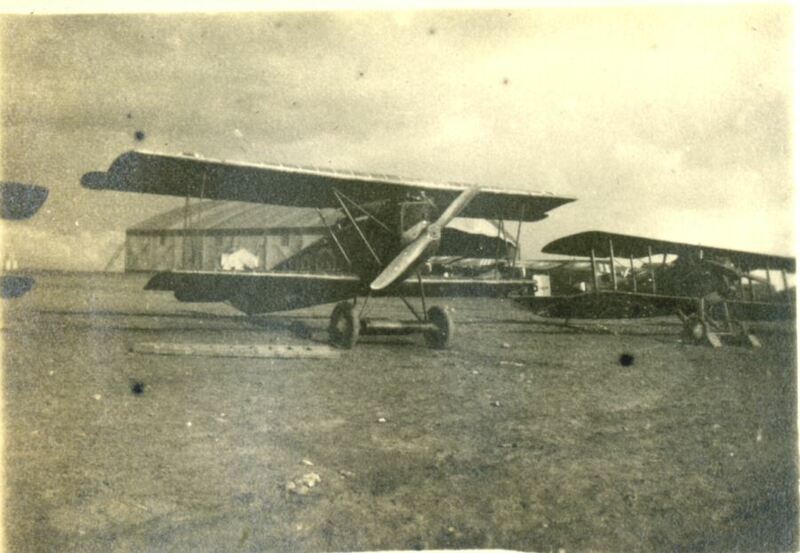 WWI-13 This is the Airco DH4. 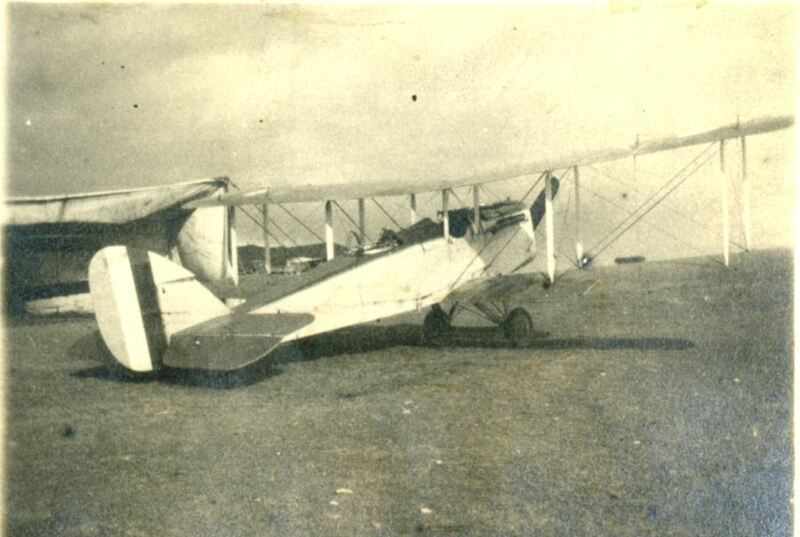 English plane manufactured by the Americans. Designed by Geoffrey de Havilland, D.H.4 powered by a 12 Cylinder in line V, about 400 hp. This thing could stay aloft almost 7 hours. 2-4 machine guns, and close to 500 lbs of bombs. 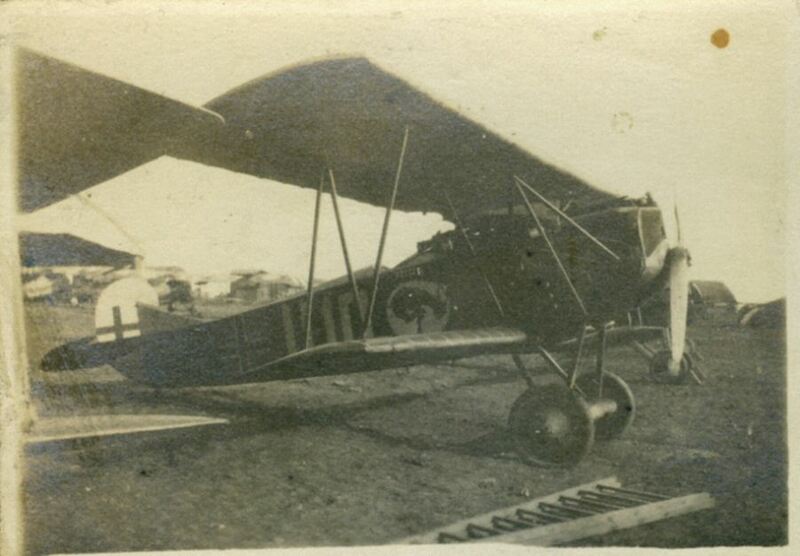 WWI-20 - Pusher Type Plane. 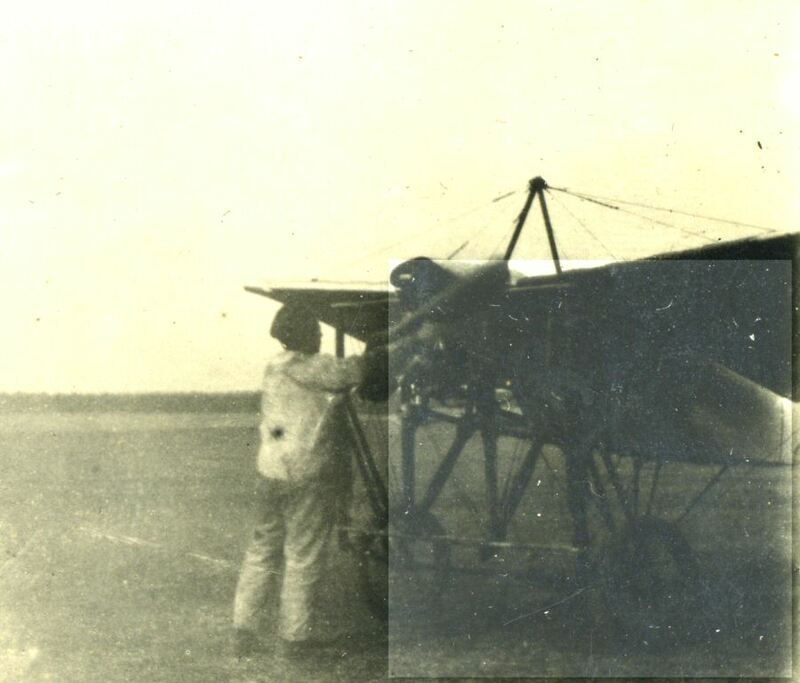 This could possibly be a French Maurice Farman S. 11, known at the "Shorthorn". Used in Reconnaissance, Bomber, Trainer. 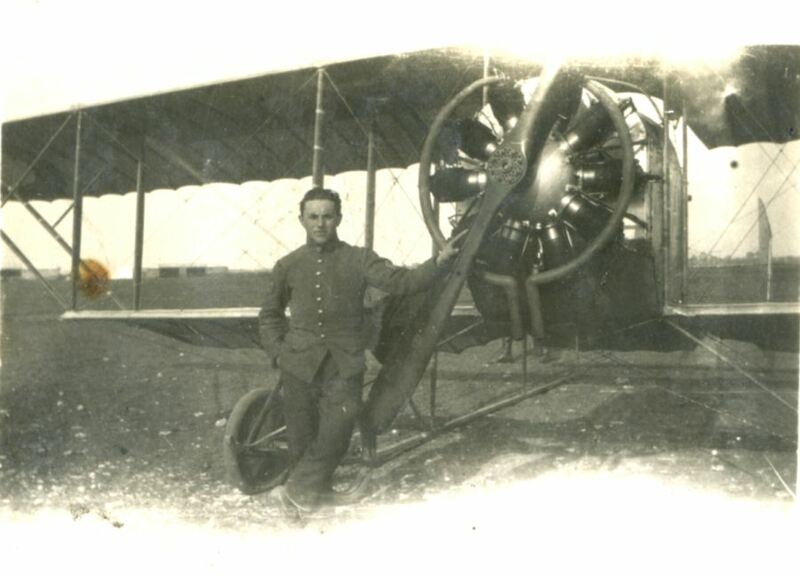 WWI-21 - Two Seater. 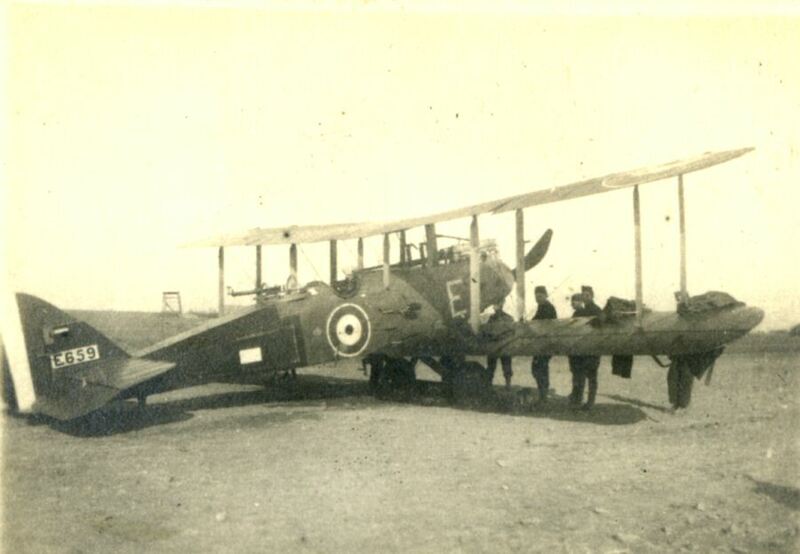 This is a De Havilland DH9 E659 'E' of 104 Squadron RAF, based at Azelot towards the end of WWI. 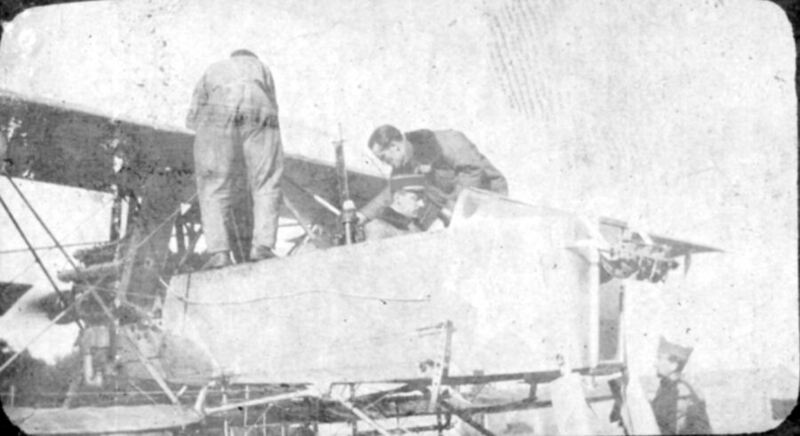 It forced-landed with engine problems near Paris on a flight from Azelot to Blangy on November 21, 1928 and was Struck off Charge on the 29th. Information from Alan Eyre, UK. 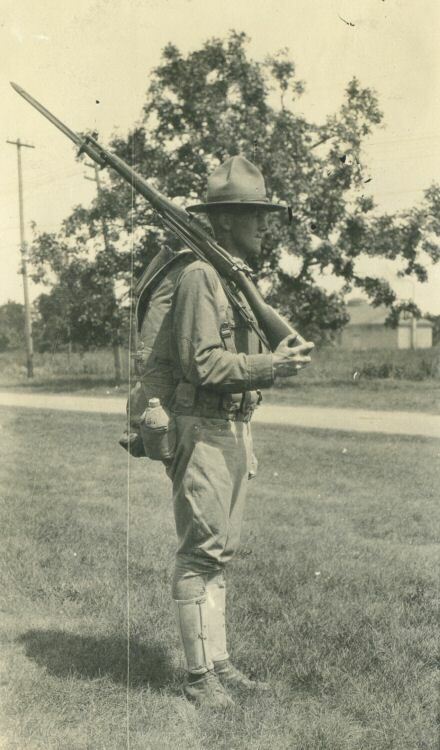 WWI-41 - An Early Odd Type. 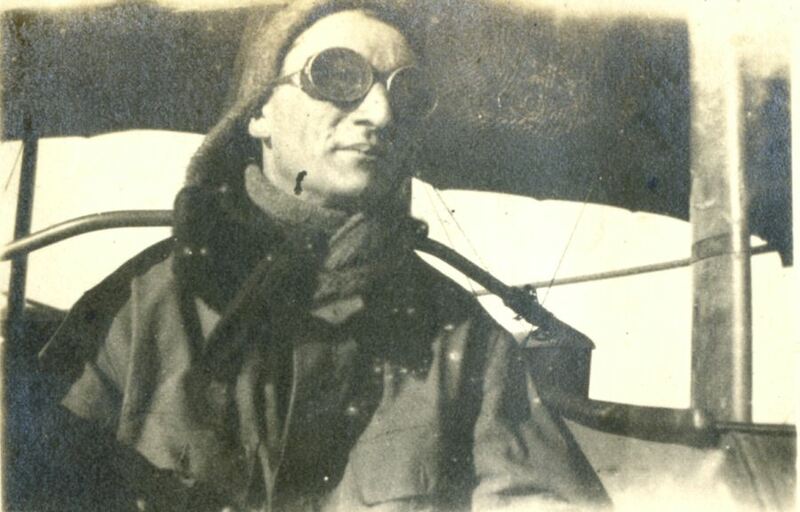 Morane Saulnier N The distictive nose is off this plane. 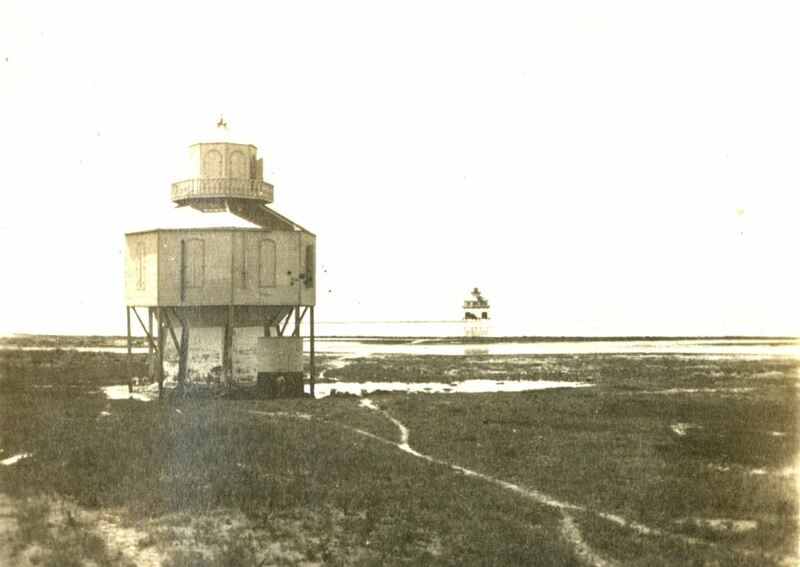 Only 49 were built. 9 Cylinder rotary, 80 HP. Speed 90 mph, Endurance 1 1/2 hours. 1 machine gun. Difficult to fly, and unpopular. 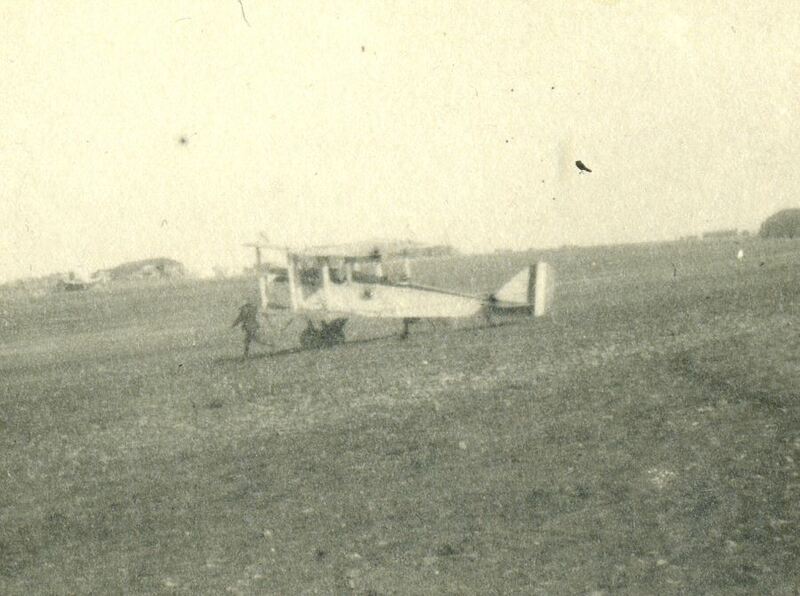 WWI-44 - Taxing. 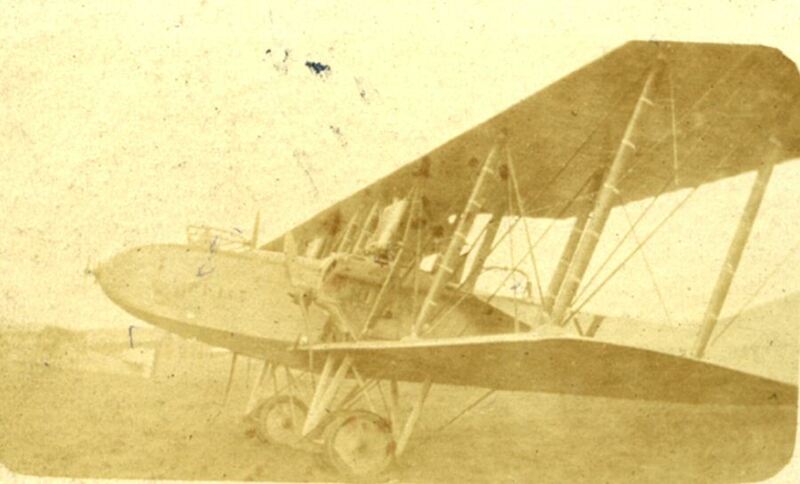 Another American-built DH4 with a Liberty V12 engine. . Information from Alan Eyre, UK. 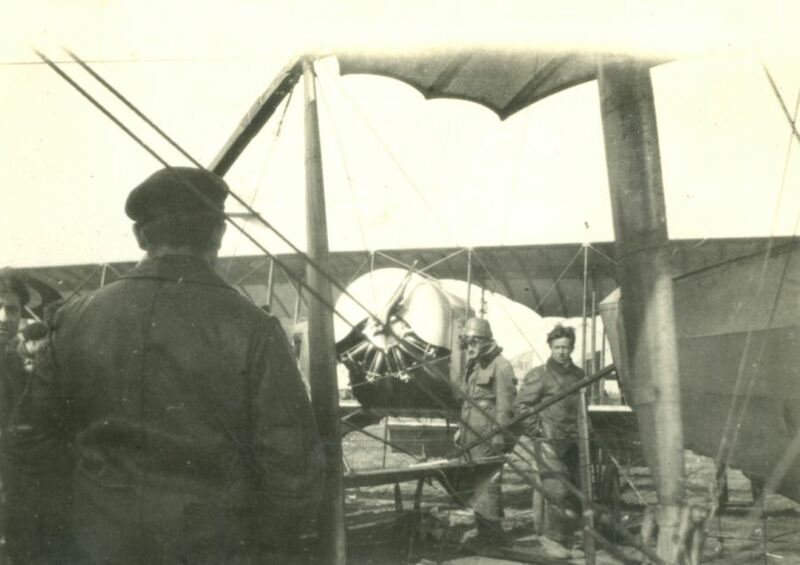 WWI-35 - Mechanics working on a Caudron G III. 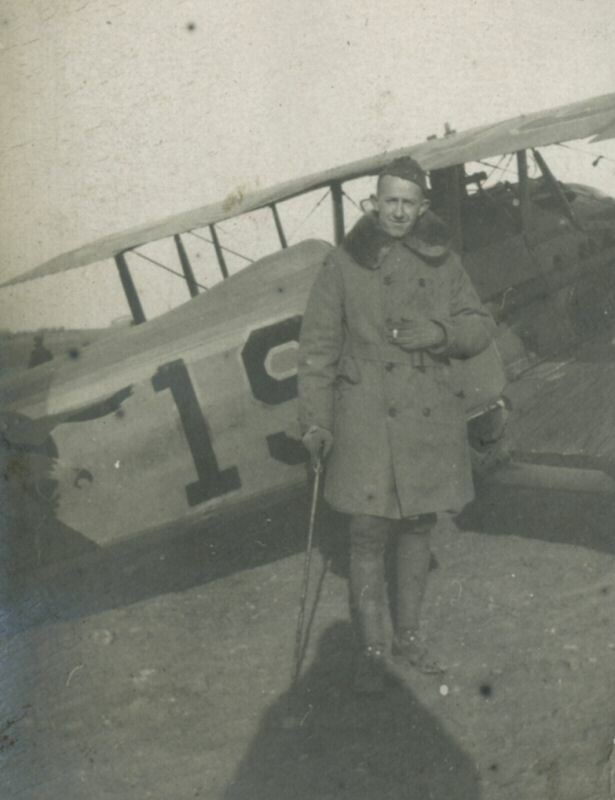 WWI-42 - William "Billy" Avery Bishop. A Canadian who flew for the RAF. He is credited with 72 victories. He died 9/11/1956 in Florida. He ranks #3 among all the WW1 aces. 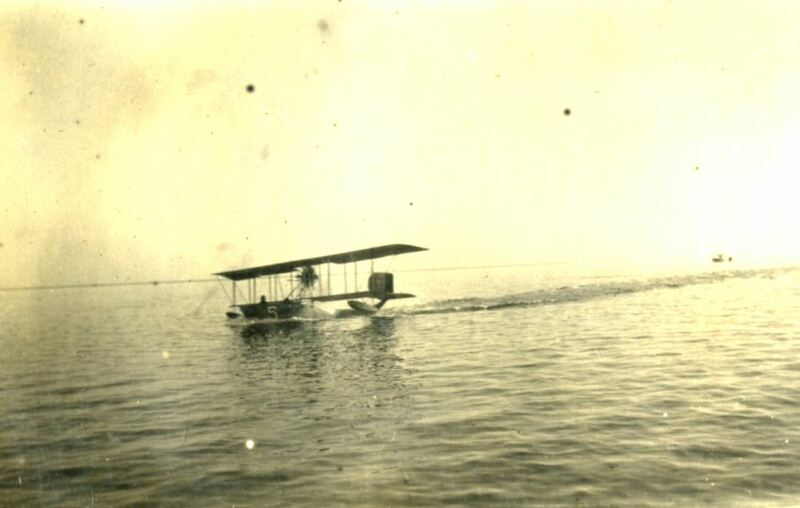 WWI-7 - Seaplane taking off. 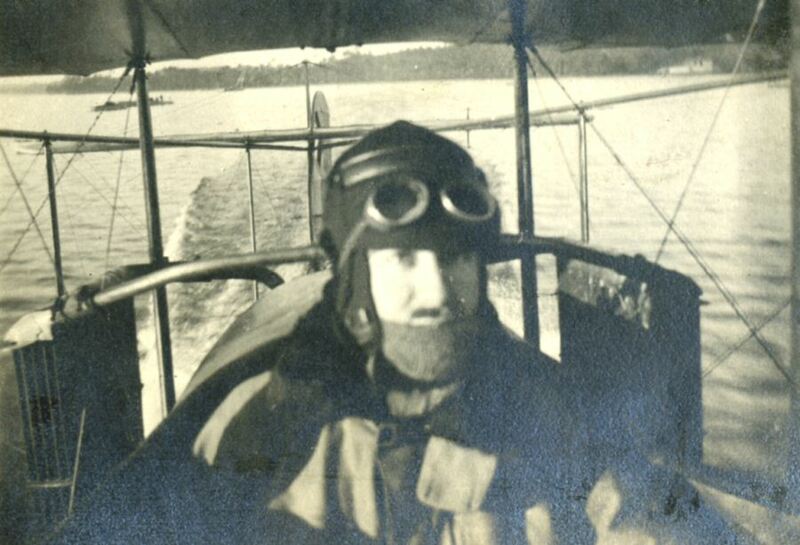 WWI-27 - Seaplane, no fusalage, pusher type. 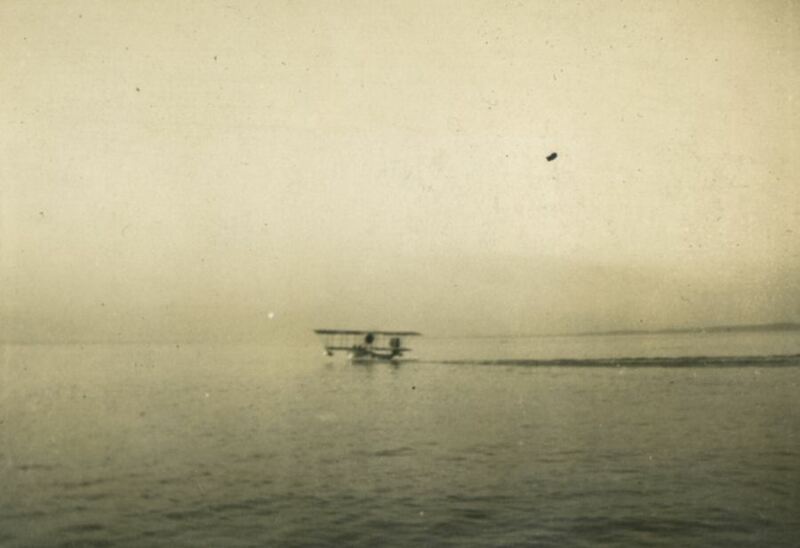 This looks like a Maurice Farman F.40 with floats. 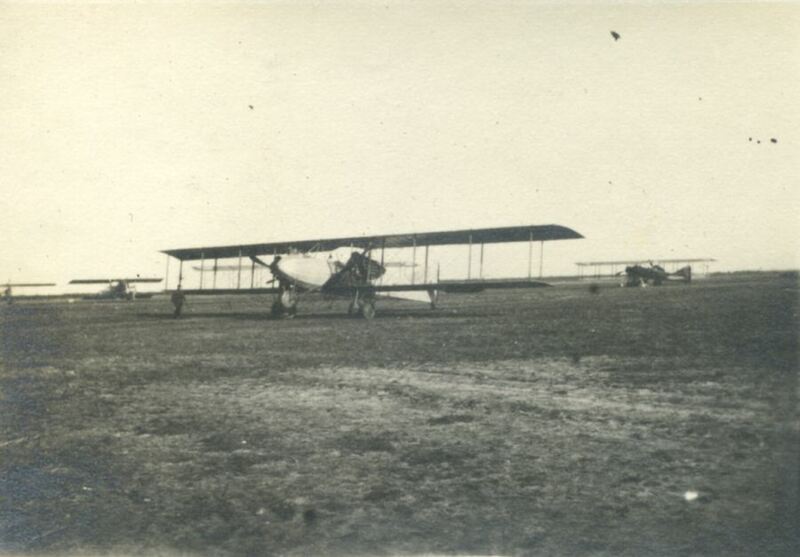 A French reconaissance/Light Bomber, it went into service in 1915. 85 mph and a aloft time of 2 hours and 20 minutes. 160 hp. 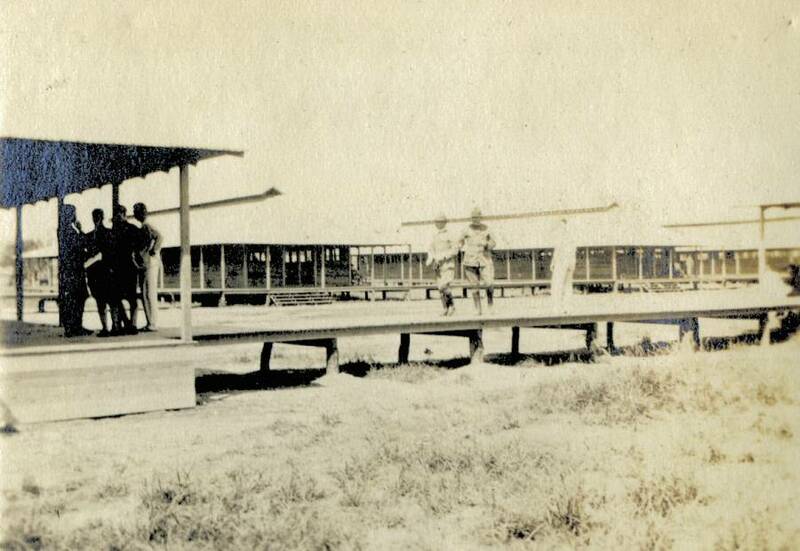 WWI-28 - Seaplane taking off. 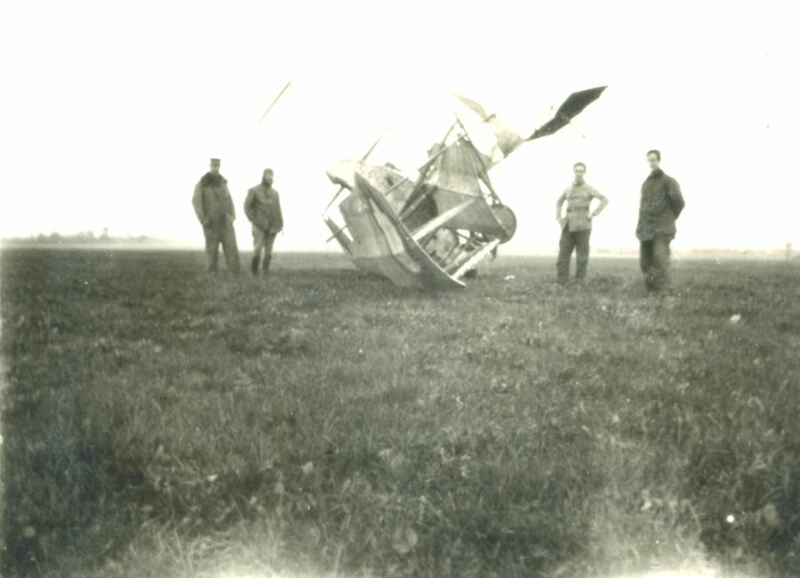 WWI-15 - Wreck, also a Caudron G III. 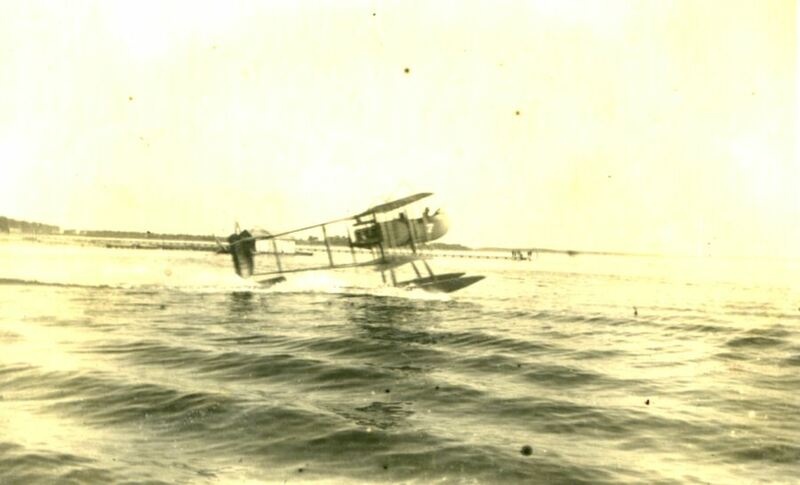 WWI-23 - Wreck, Farman biplane modified for landing on water. 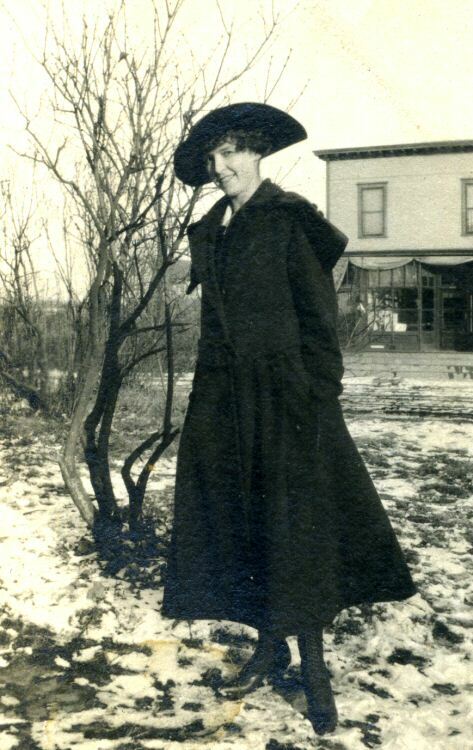 The materials of this Internet site are copyrighted by Gilbert Valley Antiques ("GVA"). All content of this Internet site is owned or controlled by GVA and is protected by worldwide copyright laws. You may download content only for your personal use for noncommercial purposes, but no modification or further reproduction of the content is permitted. The content may otherwise not be copied or used in any way without express written permission of GVA.